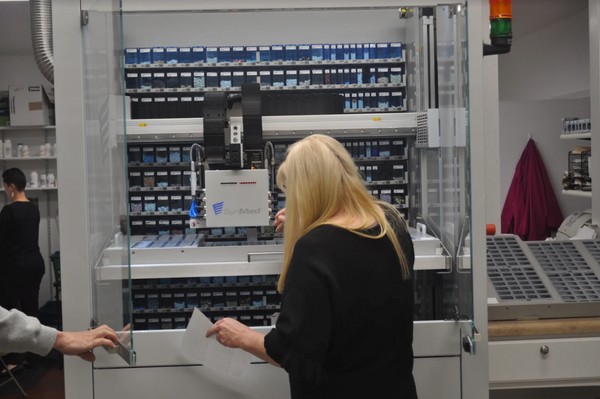 We understand that many patients may have trouble trying to take their medications on a regular basis. Whether its from multiple medications or just forgetting whether or not you remembered to take them, we have solutions. 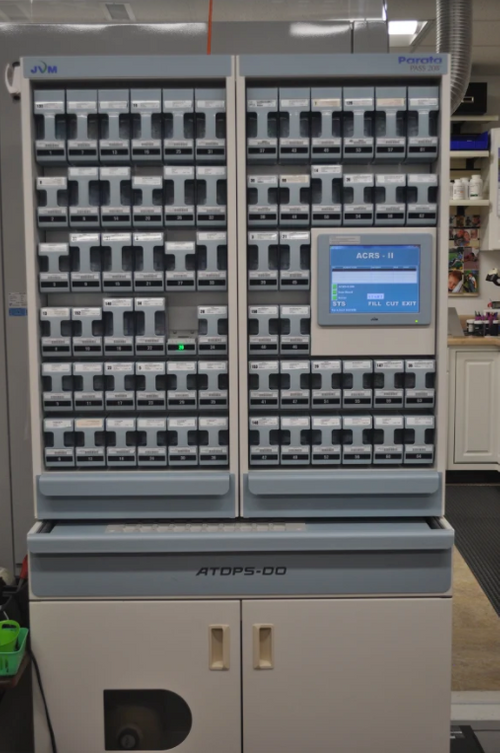 This system packages all of your medications together according to the time that they are taken. Small and compact, this is a great option if you are on the go. Just tear on the package that you need and stick in in your pocket! 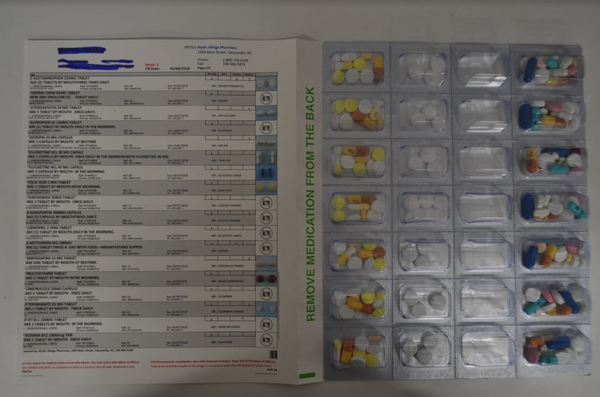 This system packages meds in a weekly blister planner. Again, it packs each dose according to the time it is taken. It offers a great visual reminder as to whether or not a dose has been taken. Each dosing bubble is perforated so it can be torn off and taken with you. This is a great convenient way to remember your meds and cut down on having all those pills bottles sitting round!